Hunter Museum of American Art | Just Shooting Memories! 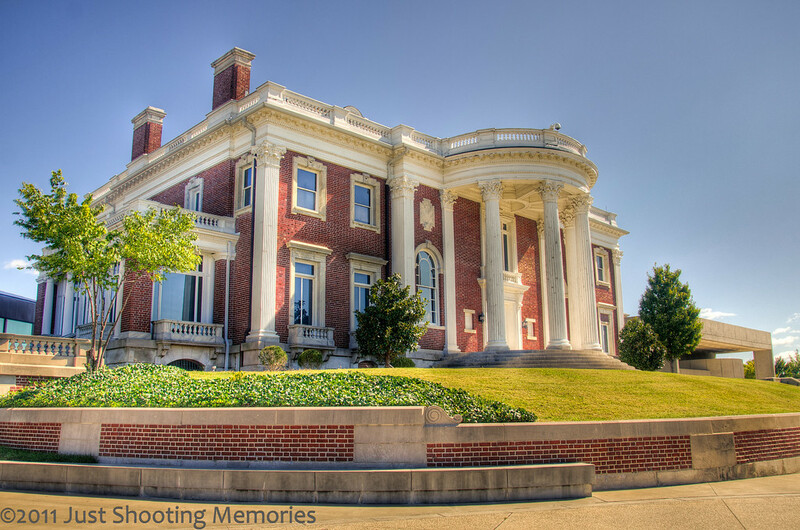 Sitting atop the bluff’s overlooking the Tennessee River and the heart of Chattanooga sits the Hunter Museum of American Art. I ran across this during the Worldwide Photo Walk in October and thought it was a cool museum. The building is divided into three distinct architectures. The center of the museum is an old plantation style mansion. I got this one during the day, but returned several weeks later and shot another one of The Hunter at night. Placed on the hill surrounding the Hunter are several sculptures like the Orange Sculpture.